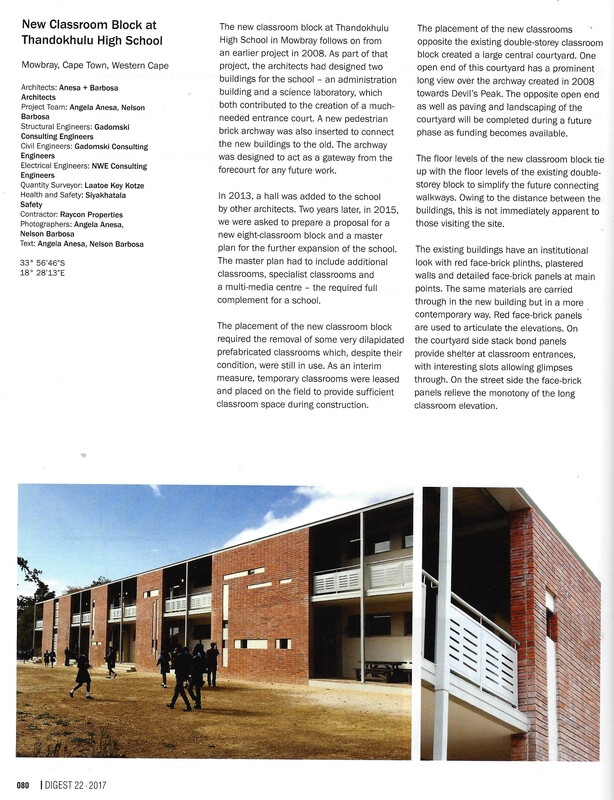 The new classroom block at Thandokhulu High School in Mowbray is featured in the Digest of SA Architecture 2018 Edition. 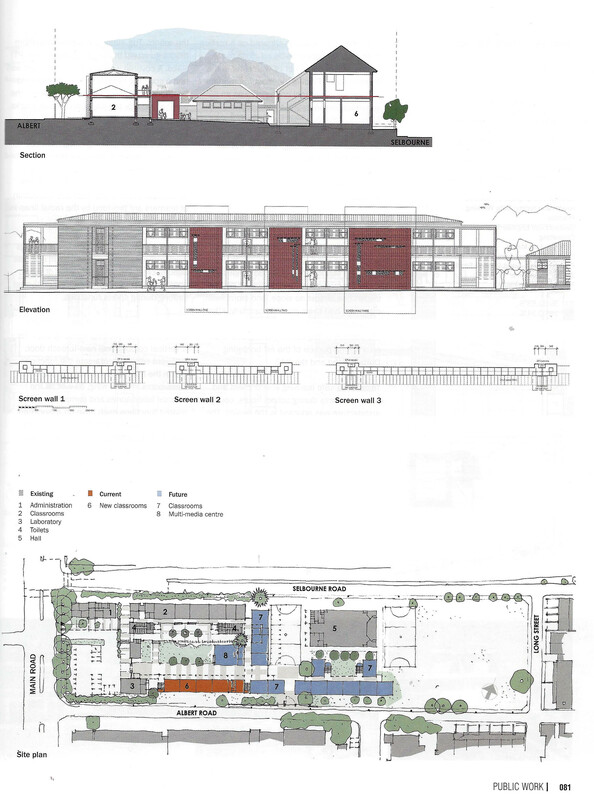 The Stage 2 Report for a new high school in Mitchells Plain has been completed. 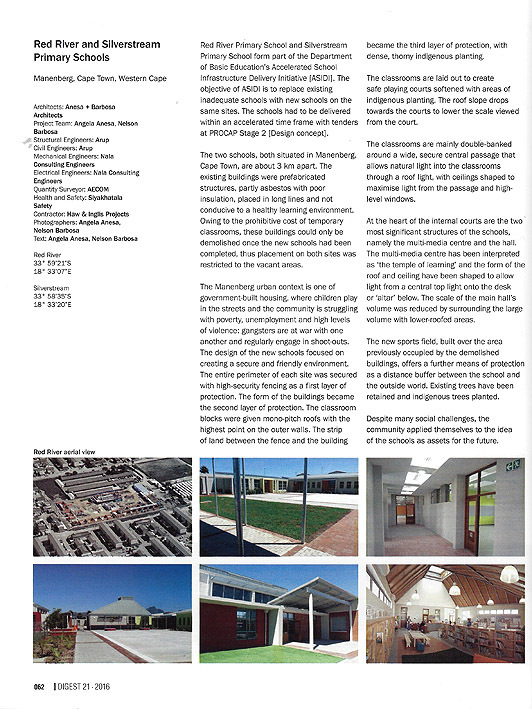 Red River Primary and Silverstream Primary Schools in Manenberg are both featured in the Digest of SA Architecture 2016 Edition. 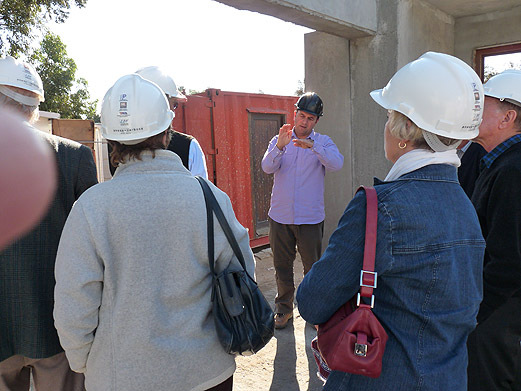 The schools were carried out under one contract. 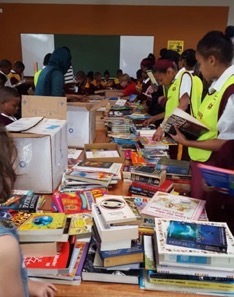 Cape Town - Over 1 000 books have been donated from around the world to help build a library at a primary school in Manenberg, thanks to the efforts of one resourceful blogger. 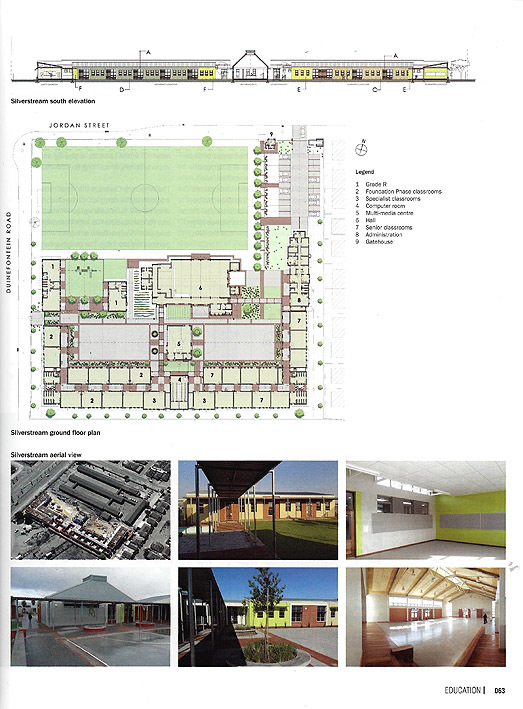 Red River Primary recently received a new building for their school from the National Education Department in November 2015. 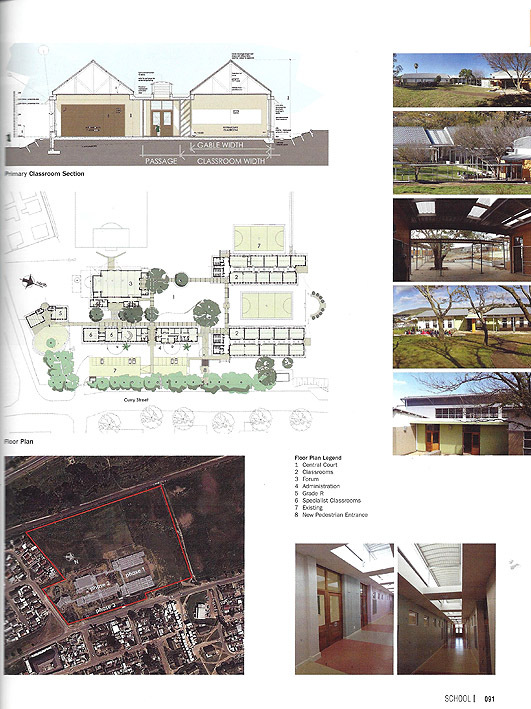 And with it, came space for a new library. 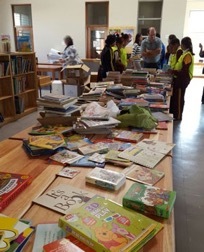 A Cape Town mother of eight and avid book lover took to her blog site Se7en to try and collect as many books as possible to help populate the new library. 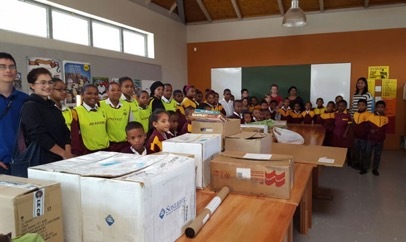 Along with NGOs Biblionef SA and the St James Educational Trust, an NGO that partners with the school, the three groups combined efforts to help fill the shelves, with the school's blessing. 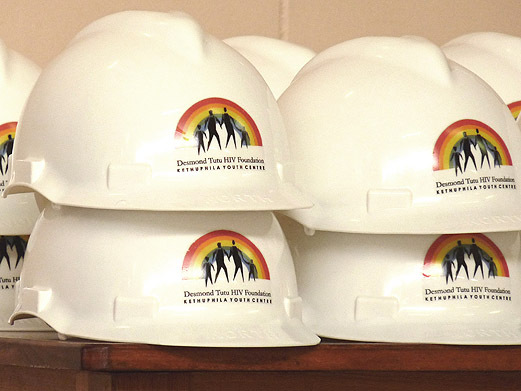 The mom, who prefers to remain anonymous on her blog, first made the call for the books in February. 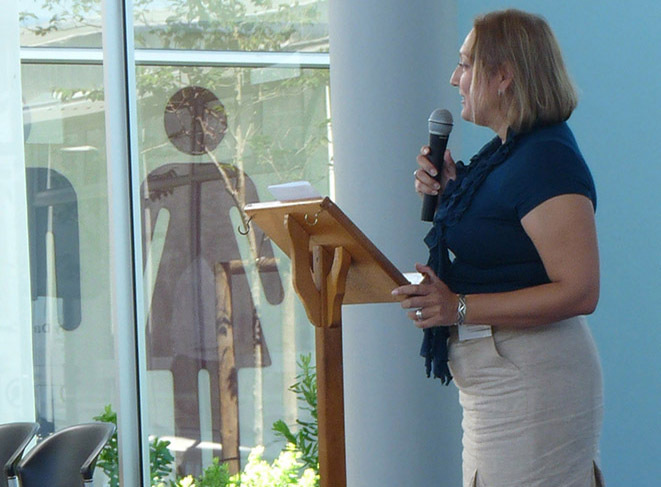 Three months later, a total of 20 boxes, containing over 1 000 books, were gathered from donations from around the world. And on Wednesday, they delivered the goods. 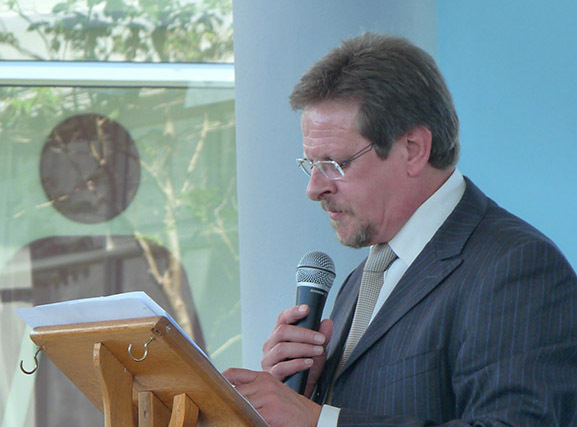 “The staff and kids were very quiet at first, but their excitement grew as the boxes were opened,” said a spokesperson for the St James Educational Trust. 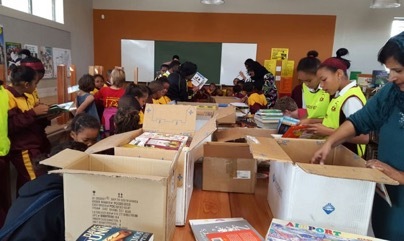 Pupils at Red River, adorning yellow prefect and head girl bibs, along with Principal Everett Poole, received the books with great joy from the Se7en family. 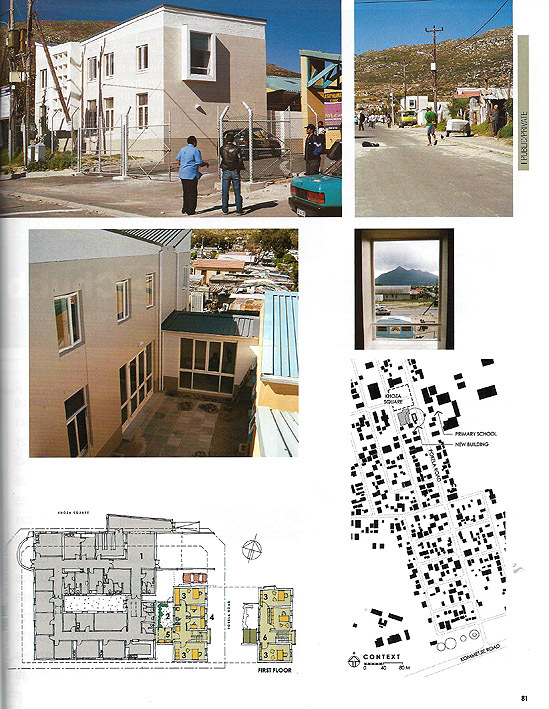 In 2014 Cape Town was awarded the World Design Capital distinction that recognises design as a tool for social, cultural and economic development. 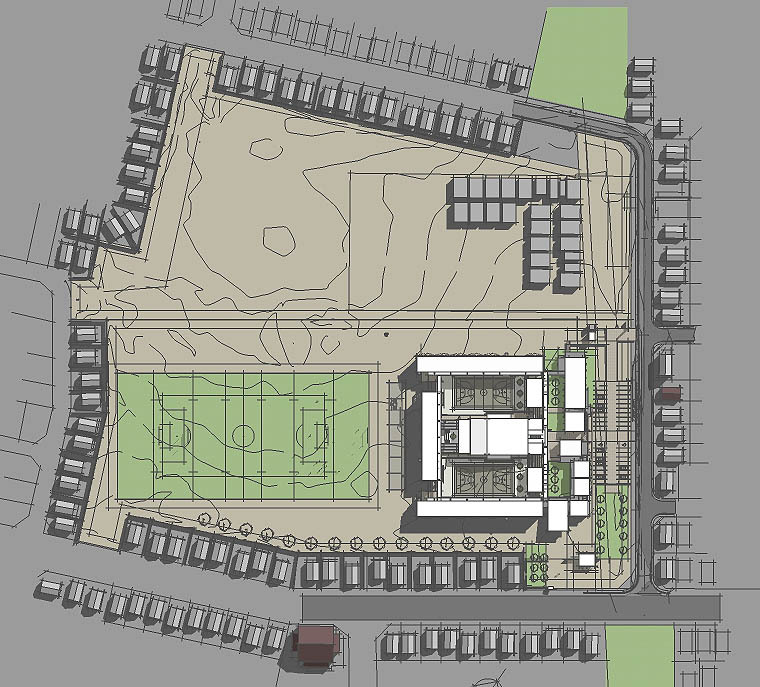 Over 460 design projects were selected that aimed at transforming the city. 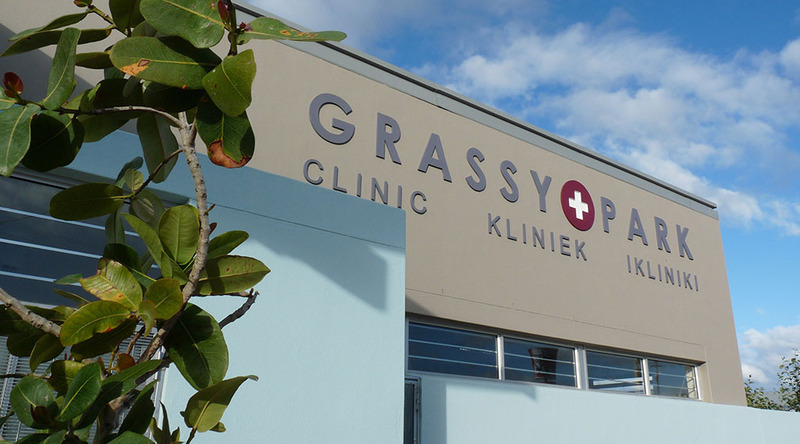 The Grassy Park Clinic was included in the list of projects. 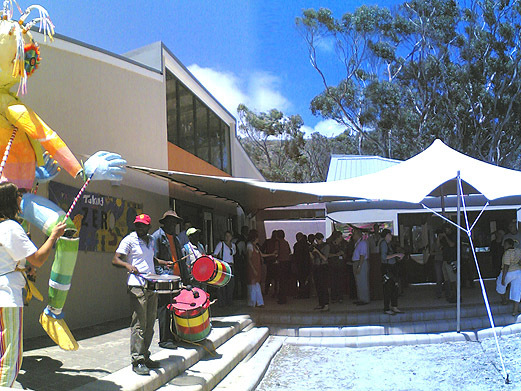 Barrack Obama visited the Desmond Tutu HIV Foundation Youth Centre on Sunday 30 June 2013. 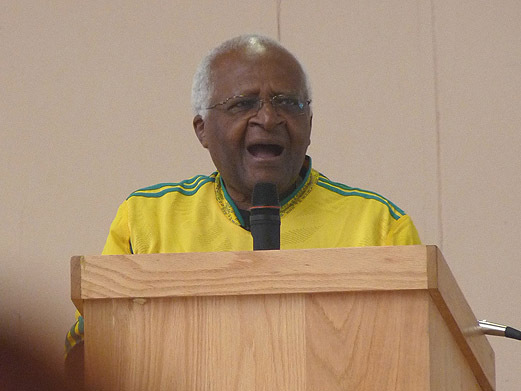 “Cape Town - Archbishop Emeritus Desmond Tutu told US President Barack Obama at his foundation’s HIV Centre in Masiphumelele near Noordhoek that it was a “special joy” to welcome the US leader to “the continent of his forebears”. 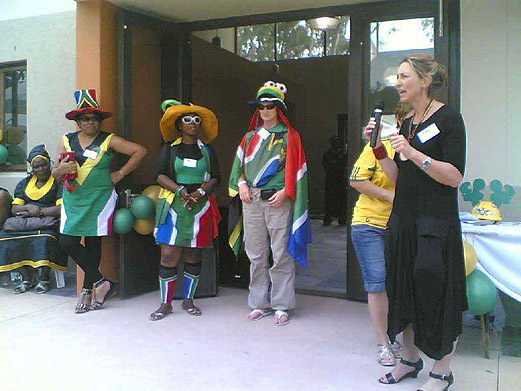 People lined the streets outside the HIV centre hoping to glimpse Obama. 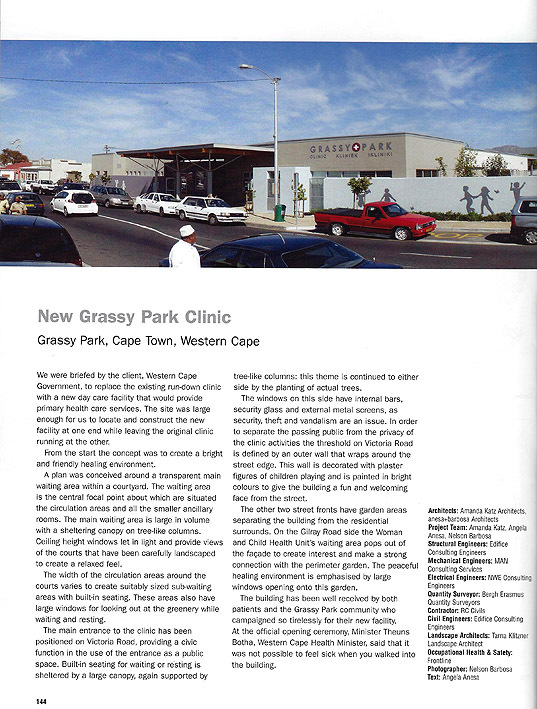 The Grassy Park Clinic is featured in the Digest of SA Architecture 2012 Edition. 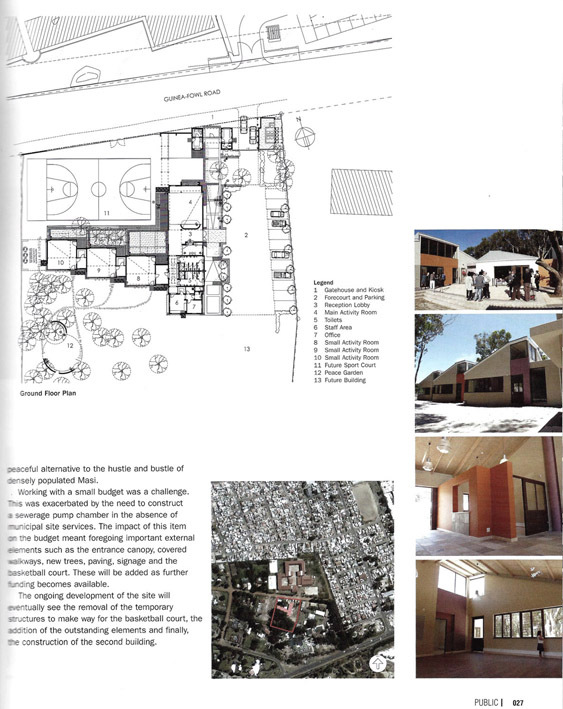 The project was carried out together with Amanda Katz Architects. 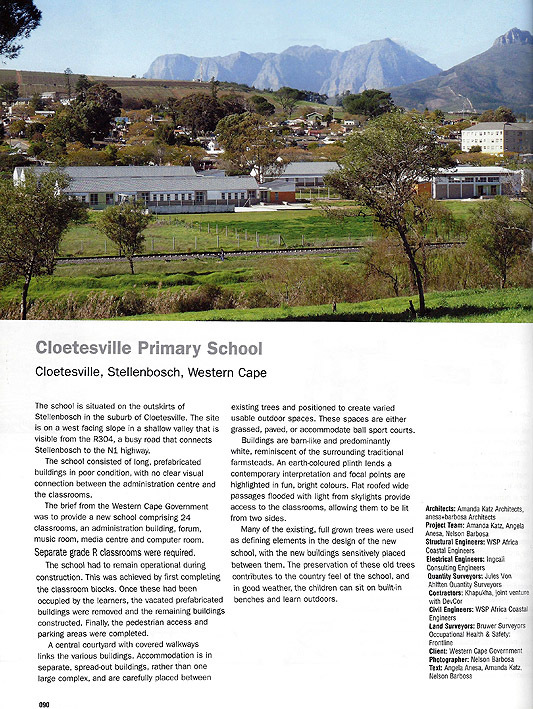 The Cloetesville Primary School is featured in the Digest of SA Architecture 2012 Edition. 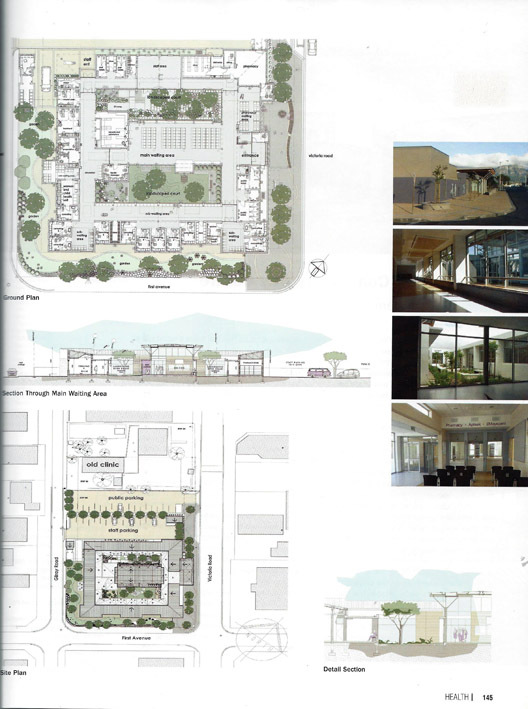 The project was carried out together with Amanda Katz Architects. 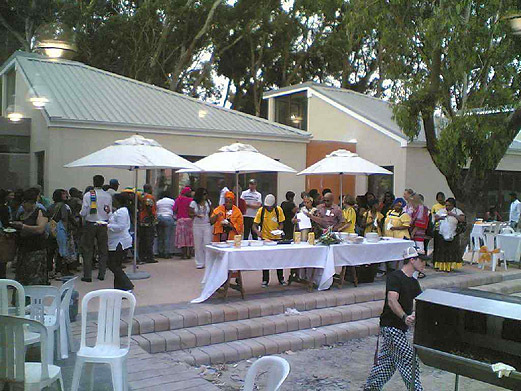 An exciting and valuable addition to the Grassy Park community landscape was finally completed in November 2011. 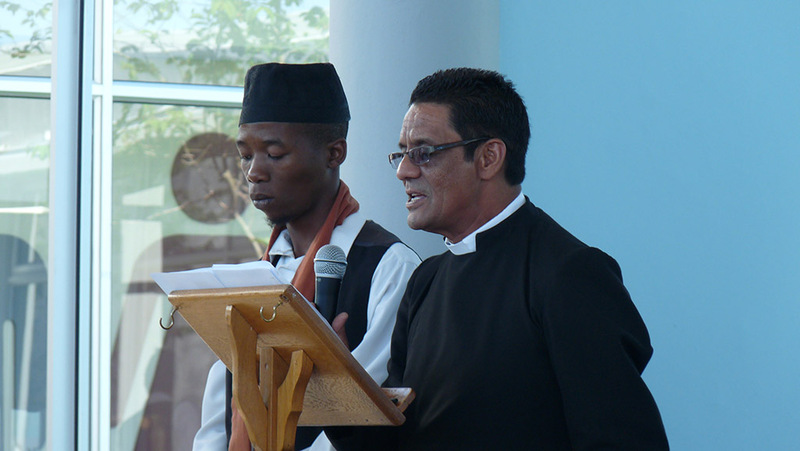 The official opening took place on 6 March 2012, in attendance were community and religious leaders as well as government representatives. 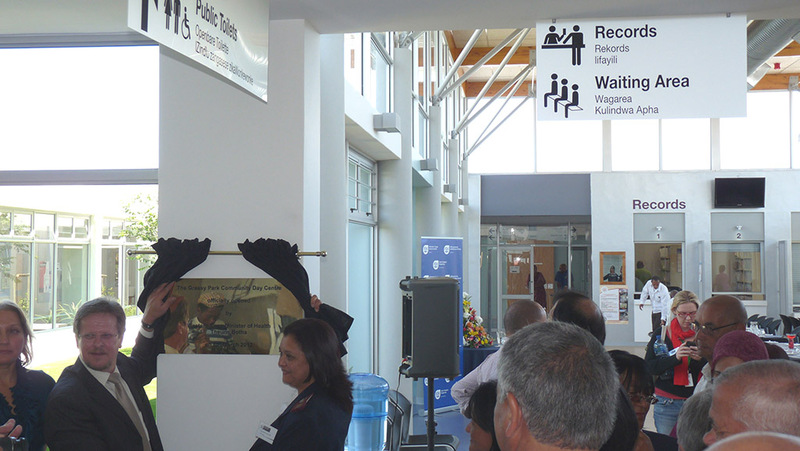 To celebrate the completion of the new Grassy Park Clinic, the project team took the opportunity to have a celebratory "on-site" lunch before the official handover. 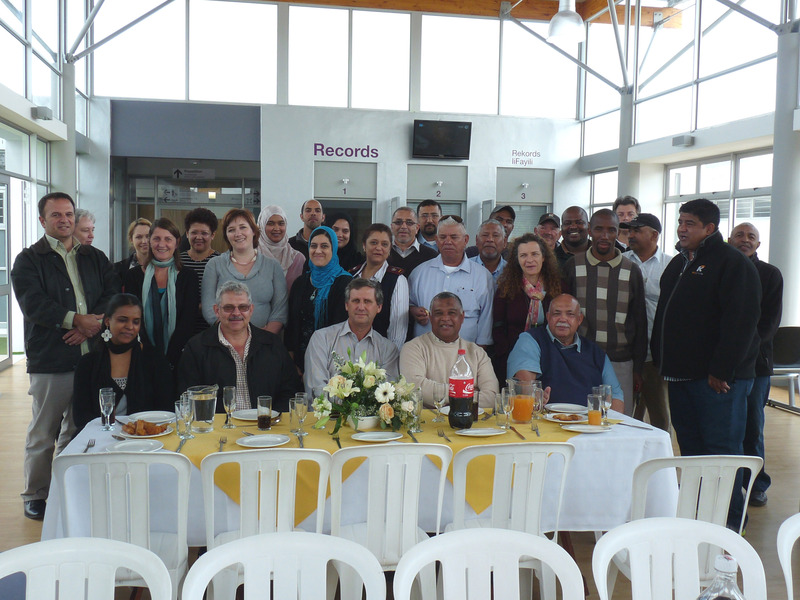 The lunch was hosted by the contractor, RC Civils - yum yum. 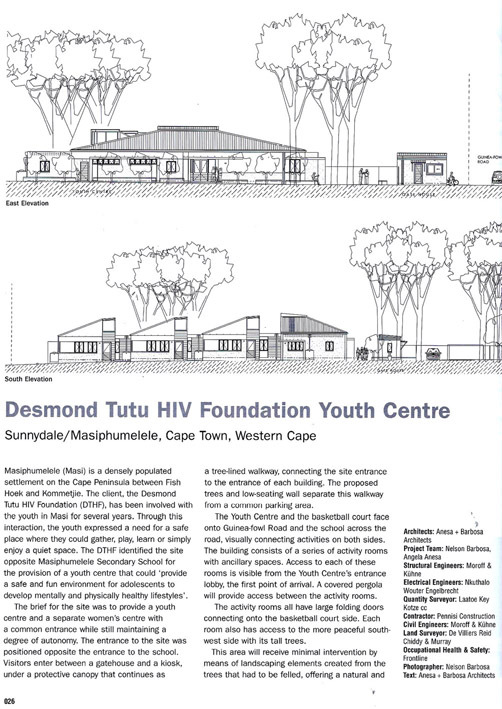 The Desmond Tutu HIV Foundation Youth Centre is featured in the Digest of SA Architecture 2011 Edition. 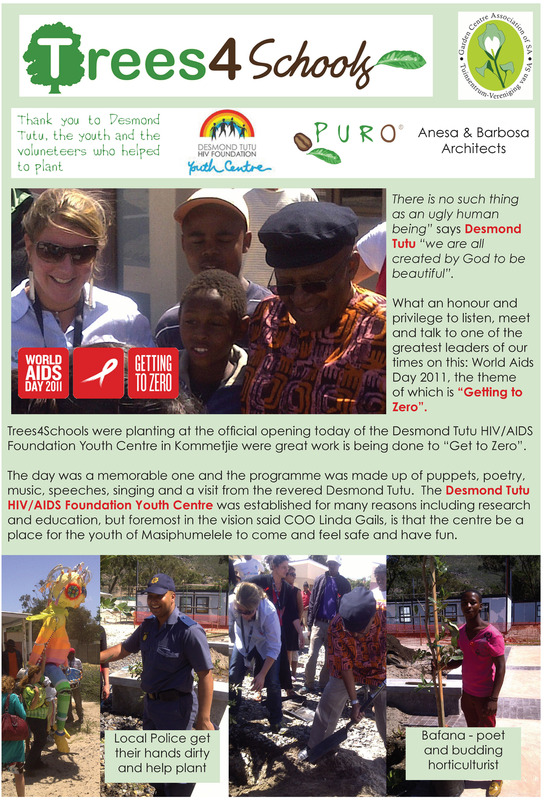 The Desmond Tutu HIV Foundation Youth Centre played host to a charity function attended by Princess Charlene of Monaco along with Archbishop Desmond Tutu. 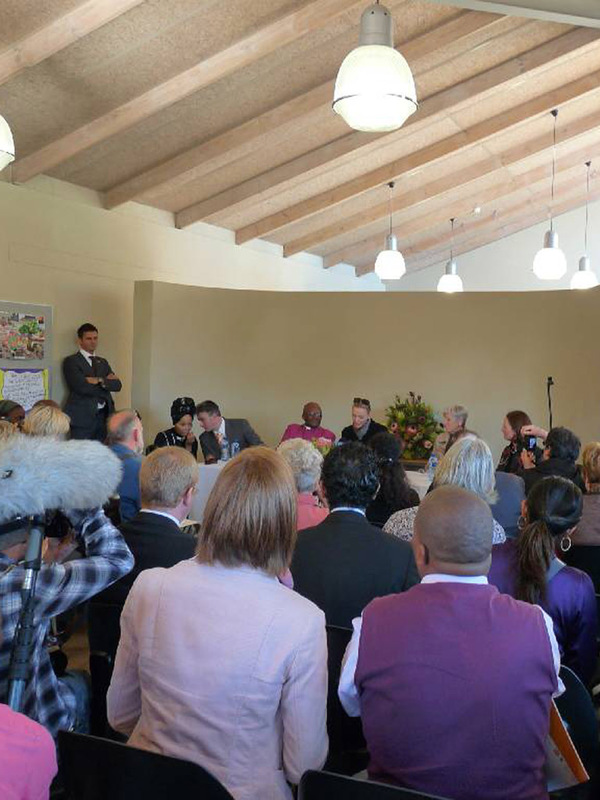 At the event Princess Charlene announced her patronage of The Giving Organisation Trust, a collaborative South African good cause organisation. 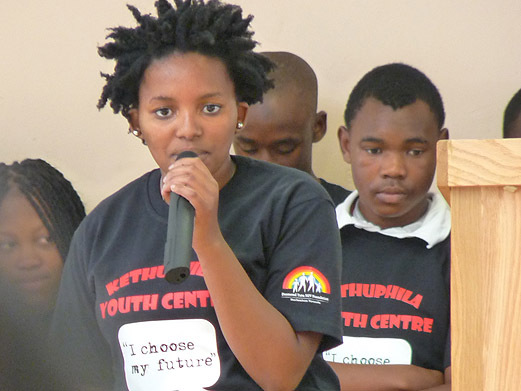 She will be co-patron with Archbishop Emeritus Desmond Tutu. 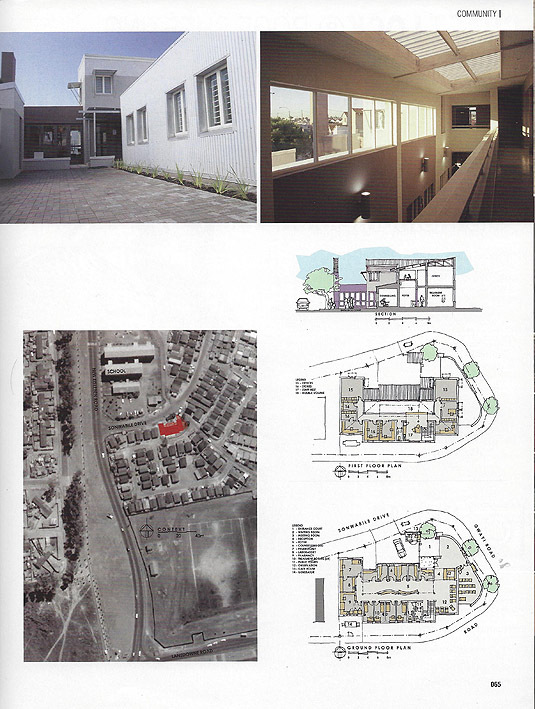 Emavundleni Centre in Crossroads is featured in the Digest of SA Architecture 2007/8 Edition. 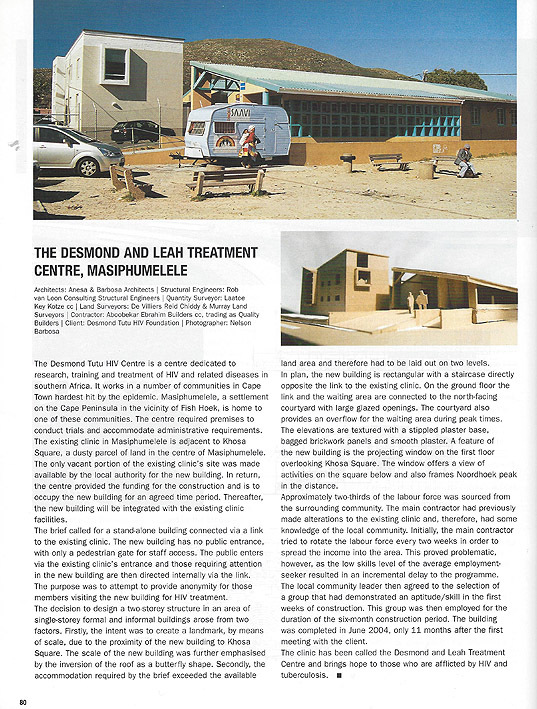 The Desmond and Leah Treatment Centre in Masiphumelele is featured in the Digest of SA Architecture 2005/6 Edition. 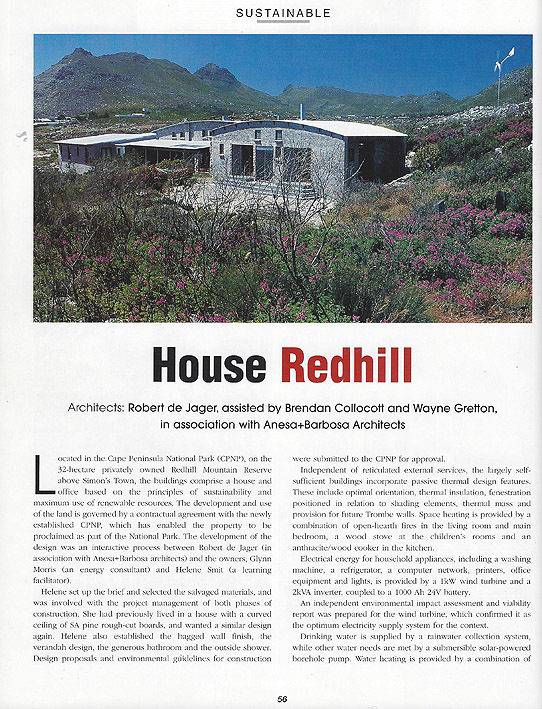 Additions to House Redhill - featured in the Digest of SA Architecture 2001 Edition. 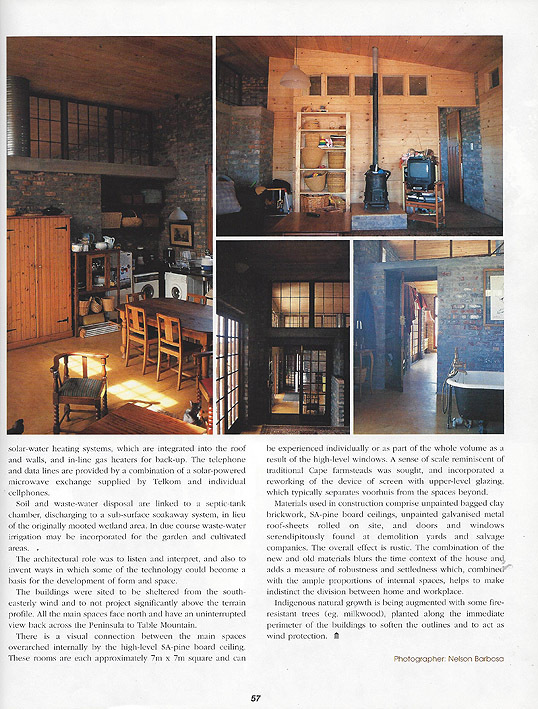 The project was carried out together with Robert de Jager Architect.